We realize that clients have different needs. Some like to drop off, and we perform the work throughout the day; some like to have a specific appointment day, leave it for the day and pick up at the end of the work day. Some people just like to drop in, and we schedule appointments within our schedule. Appointments are highly recommended for the fastest turnaround. 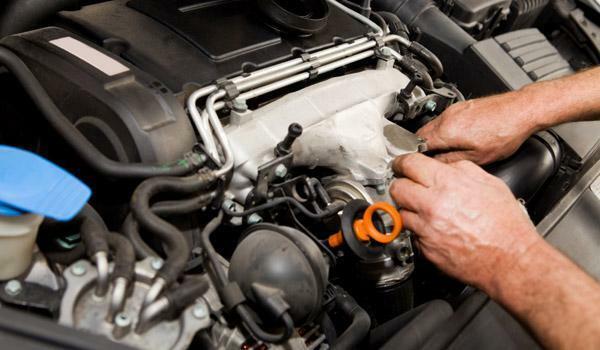 We make appointments for the day and guarantee your vehicle will be worked on the day of the appointment. This is very popular, and appointments are often booked up a week in advance. Making appointments involves turning down other potential clients once we reach capacity for a day. We ask that you call to cancel any appointment you cannot keep. We also invite you to drop in or to have your vehicle towed in. If you do not have to have the vehicle looked at on the day you leave it, we often can work it in among appointments. This may take a few days but is often a lot sooner. If we get ahead of schedule or someone cancels an appointment, any vehicles left with us are put into the first available spot. Please call 306-782-2261 for an appointment, or send a request by ﻿﻿﻿﻿﻿﻿email﻿﻿﻿﻿﻿﻿.